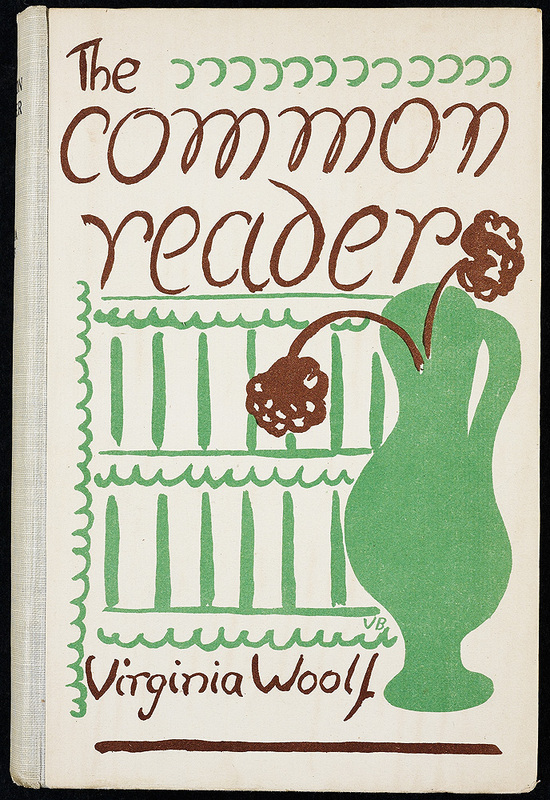 Virginia Woolf’s sister designed the cover for the first edition of The Common Reader, on display. Vanessa Bell’s original design lacks the V-shaped flowers, and is a different color scheme from the final cover. Vanessa designed most of the jackets for Virginia’s books. The twenty-six essays in this volume begin with a discussion of Chaucer and end with an appraisal of contemporary writers. 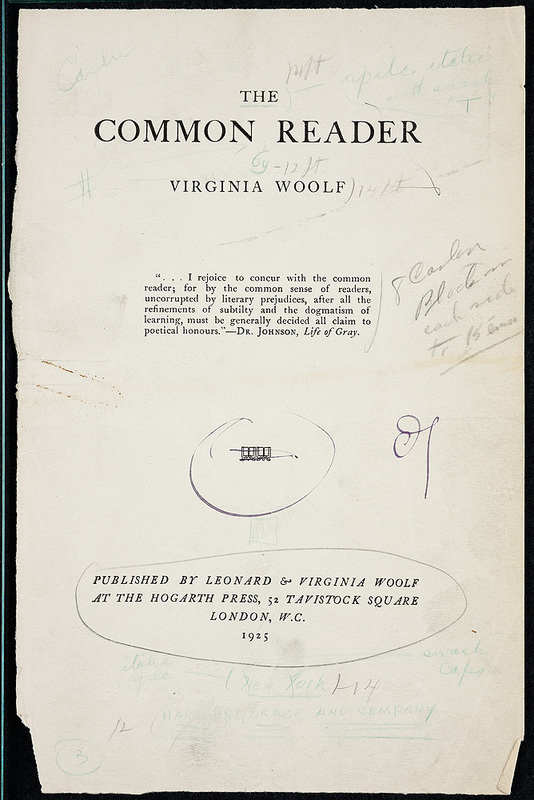 Most of the essays were originally published in periodicals; Woolf revised them, however, for The Common Reader to be more conversational in tone. 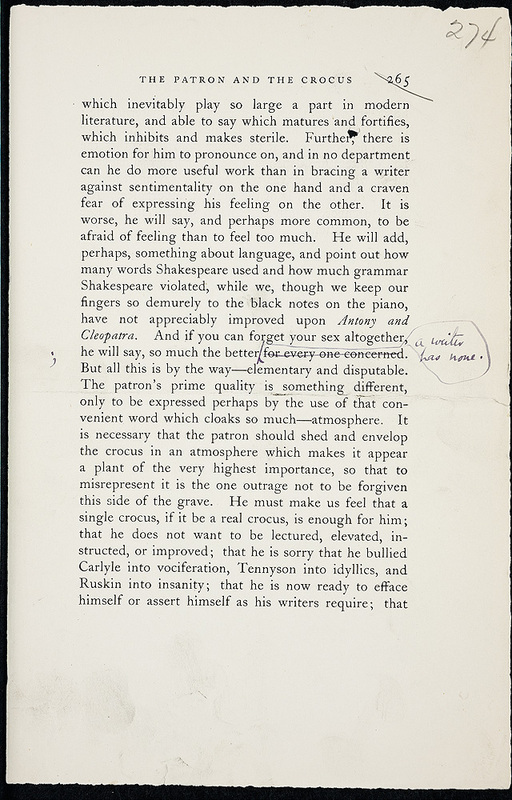 Woolf’s corrections appear in violet-colored ink on the page proofs for the American edition, which was published in May 1925 by Harcourt, Brace and Company. 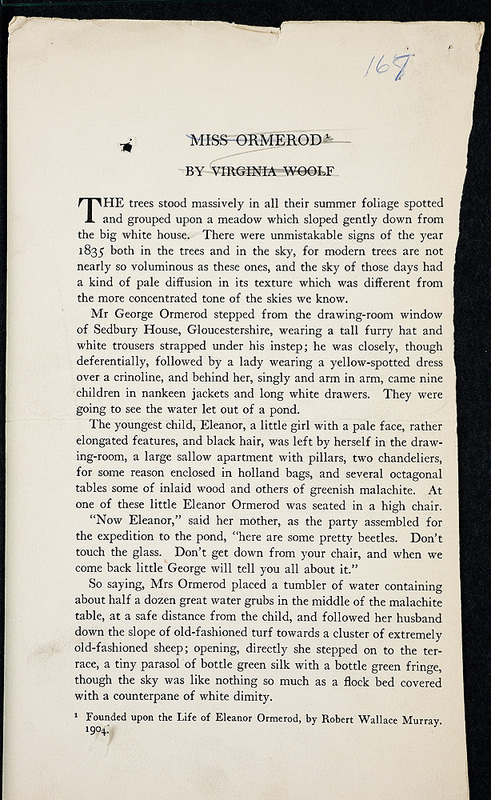 The U.S. edition included an additional essay, “Miss Ormerod,” which was “torn from The Dial where it first appeared,” according to Donald Brace’s letter to the publisher Crosby Gaige. Vanessa Bell. 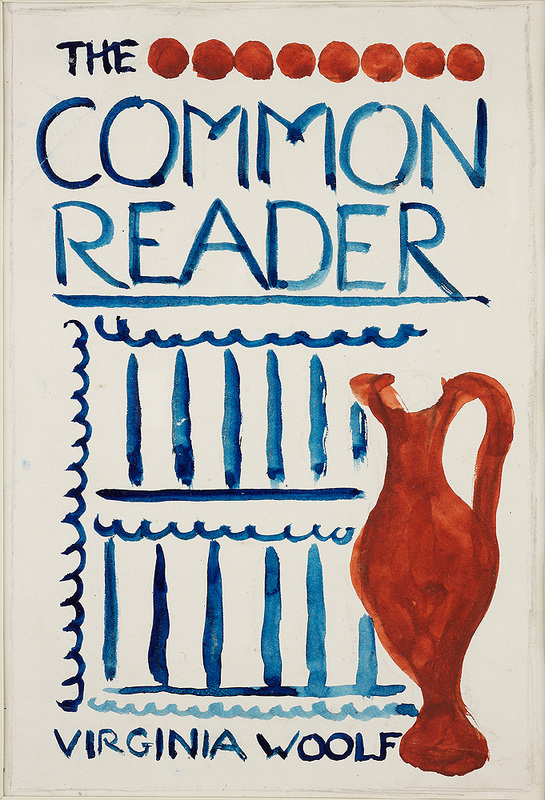 Cover design for The Common Reader: watercolor, . Virginia Woolf. The Common Reader. Virginia Woolf. 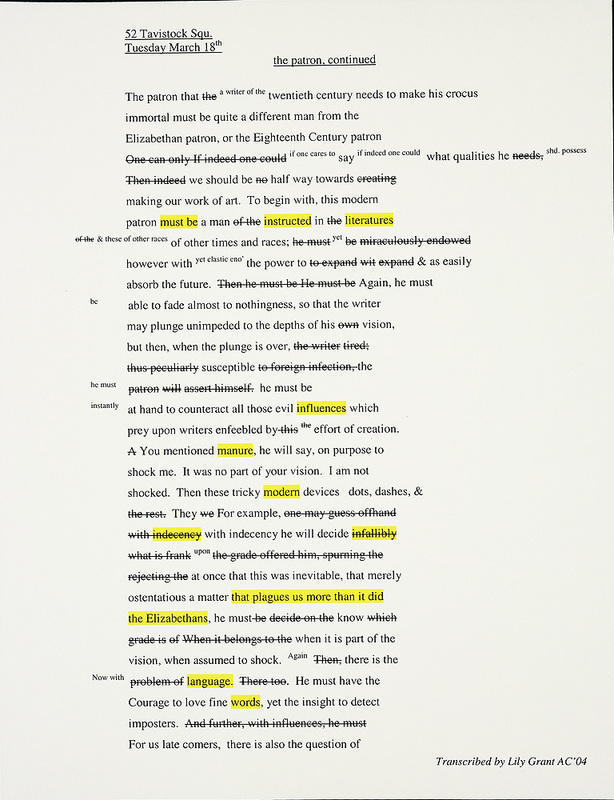 The Common Reader: corrected page proofs, 13-19 March 1925. 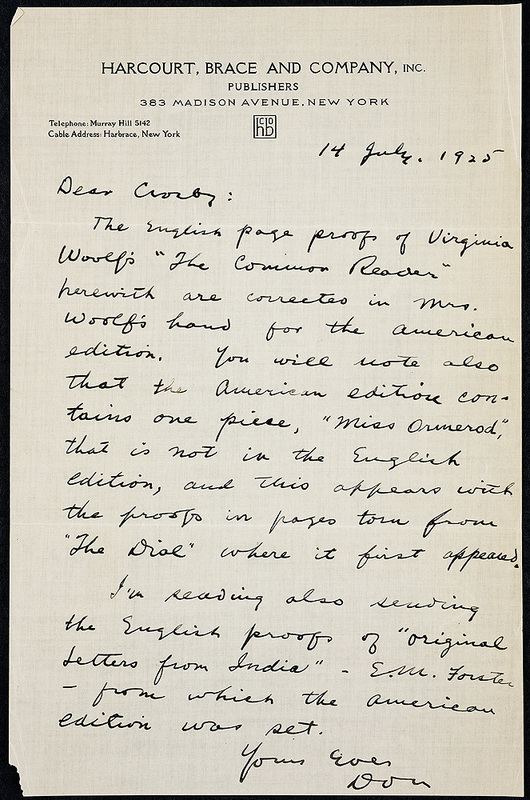 Crosby Gaige, 14 July 1925.
Corrections for her essay, “The Patron and the Crocus,” include Woolf’s contention that a writer has no gender. An earlier draft of “The Patron” is on display below. 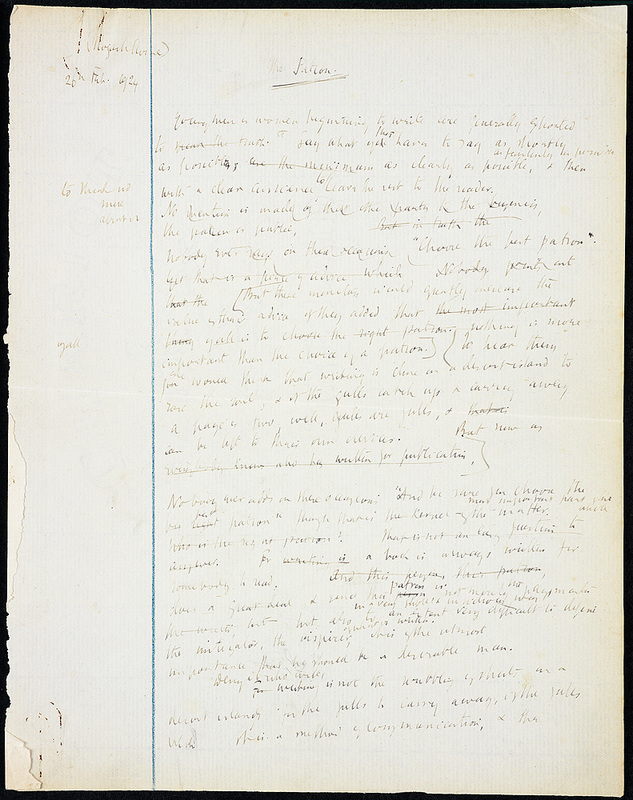 The transcription by Lily Grant (AC ’04) of the first and the ninth pages of the essay demonstrates visually how Woolf composed her first drafts. 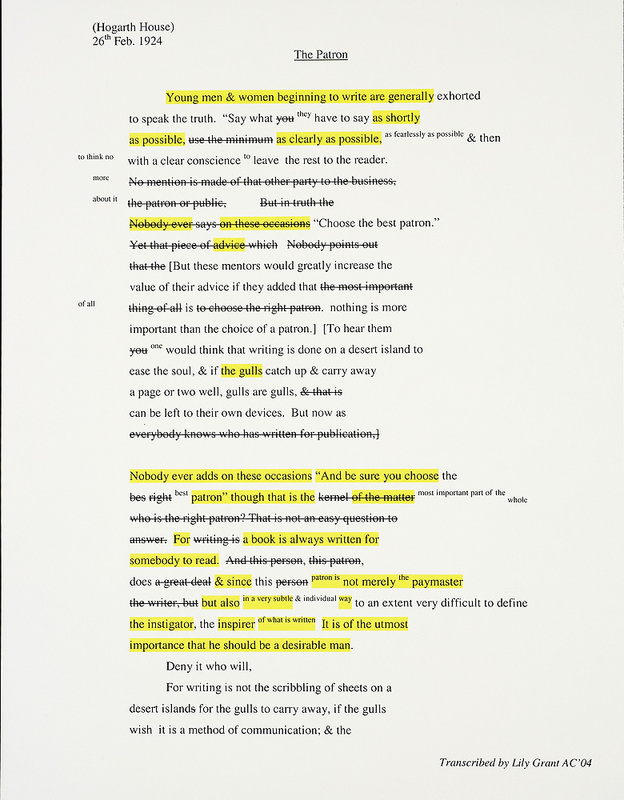 Only the text illuminated in yellow appears in the final publication. The Woolfs moved from the suburbs of Richmond to London in 1925. 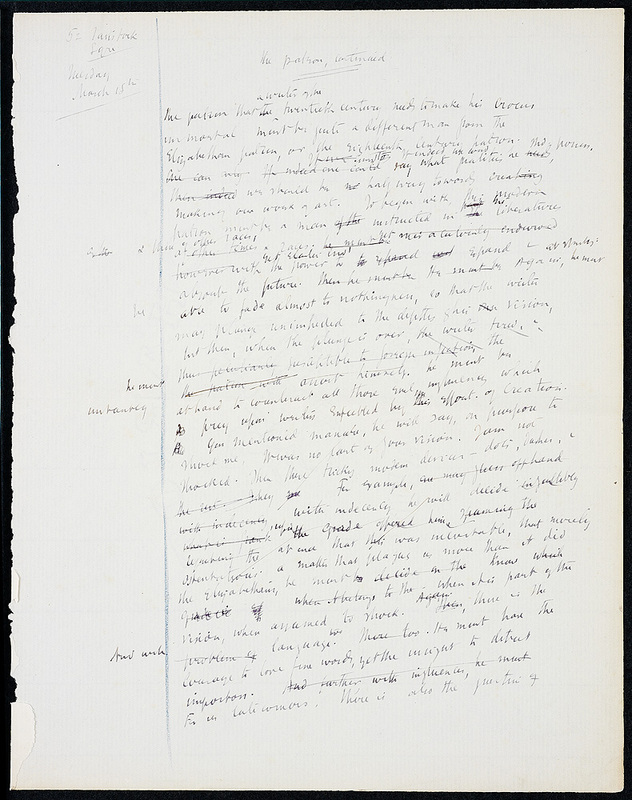 After the move to 52 Tavistock Square, Woolf continued composing her essay, adding the metaphor of the “crocus” to represent a writer’s work. Moving to the vibrancy of London with its public parks contributed to Woolf’s creativity. The essay was first published on 12 April 1924 in The Nation & The Athenaeum (where Leonard was the literary editor) and reprinted in The Common Reader the next year. Virginia Woolf. 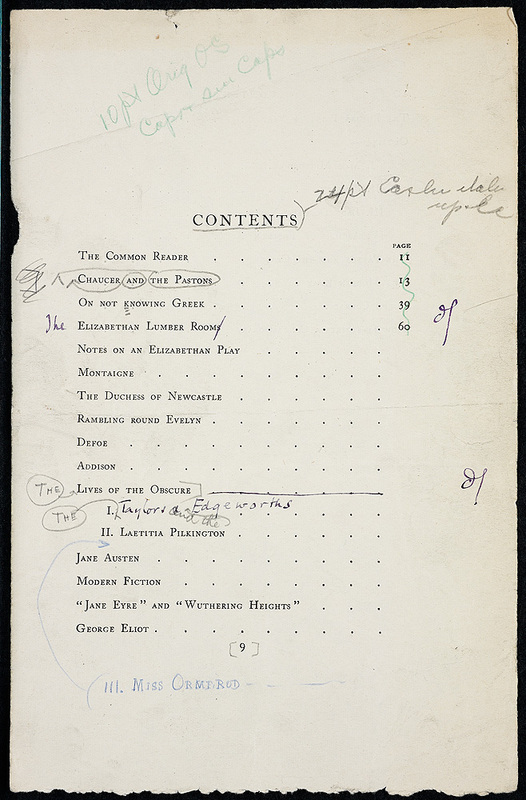 “The Patron and the Crocus”: holograph, 26 February-15 March 1924. With transcript.